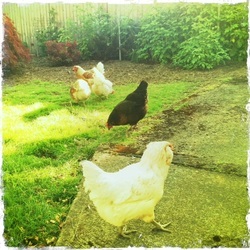 I loved my Blue-Laced Red Wyandottes, Thelma and Louise (Wheezy), but boy, are they BROODY! Each summer Thelma would stay broody for longer and longer amounts of time, finally last summer, she spent most of it in the nestbox! I thought it was only fair to her to rehome her to the country where she could be a mama! I'm sure she is much happier now, though her sister still misses her! Blue-Laced Red Wyandottes can be broody little girls but look how cute their bloomers are! These two are sisters, Thelma & Louise. They go everywhere together! 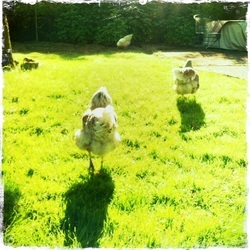 I try to give my girls at least a few hours to free range every day. Makes for very happy girls! Plus they are so fun to watch!You can gather a lot of info by observing your girls on a regular basis. I had to share some of the pictures I took today of my friend's daughter. 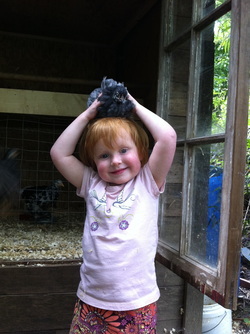 This little girl is a natural with chickens. It doesn't hurt that both of her parents love animals. She has raised all seven of her girls. She is so incredibly gentle with the chicks. The older chickens really trust her. For such a little gal she is able to hold them securely and gently. I find animal husbandry so important to a part of a child's growing up. It teaches children empathy and responsibility. 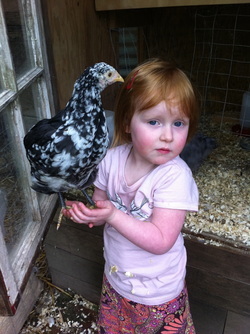 Chicken Girl with a bantam blue wyandotte. 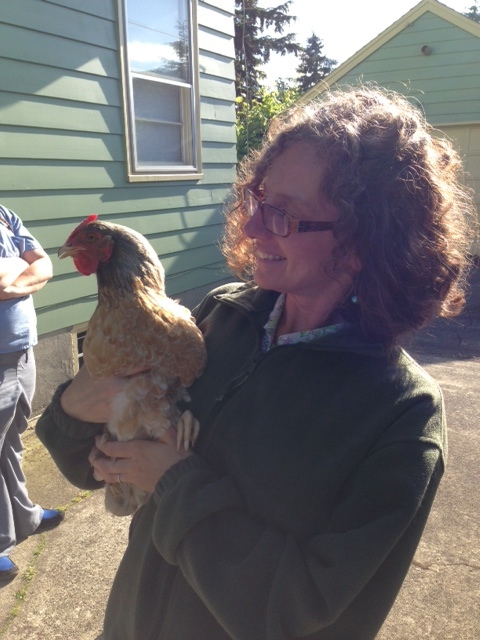 Chicken Girl with a Mottled Java pullet. We are excited to launch our new website! Hope you enjoy it. Please let us know how we can improve it! We are two friends who share the love of chickens and get a kick out of the antics they bring to our lives.